15 - Thurs ~ Cancer Research Seminar w/Seminar Chairman Steven Evans 7-9pm $FREE • MUST RSVP! 22-27 - Thurs-Tues ~ Dr. David Bole Private Toyahari Acupuncture Sessions $65 - Call OM for Appt. Scroll Down for details...Keep on Scrollin' baby! 1-3pm • $15 • MUST RSVP! Horses have a wonderful ability to bring people into the moment and instigate discovery. 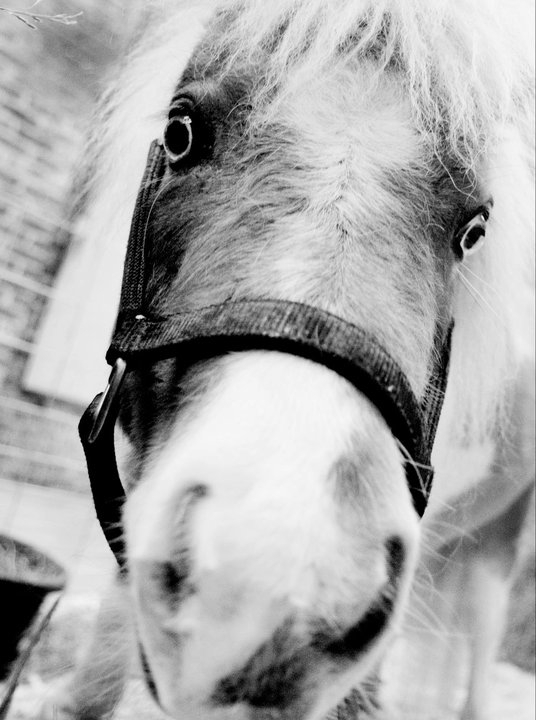 Come participate in an Equine Facilitated Experiential Learning session with Tulip, a miniature horse. Be the participant with the horse or the holder of the “sacred space of possibilities” - both are equally important. No horse experience is necessary. View excerpts from the DVD Path of the Horse by Stormy May, featuring Linda Kohanov and others in the field of E.F.E.L. Participate in an open discussion session about the value of horses and E.F.E.L. as an innovative approach for developing emotional agility, self-awareness, leadership skills, team building, natural connections, authentic relationships, boundary setting, empowerment, and more. Register online at www.spiritofchiron.com, via Brent at 712-308-2052, or to OM at 402-345-5078. 7-9pm • $FREE • MUST RSVP! If you or a close friend or relative has been affected by cancer, this seminar was designed for you. Targeted for the general public, this seminar will focus on research-based, potentially useful alternative approaches for cancer control, including the introduction and application of vibrational medicine. There is no registration fee for this seminar! No products are sold, no voluntary donations solicited, and there is no for-fee follow-up seminar involved. There is no financial agenda of any kind whatsoever associated with this seminar; all materials are provided without any charge. Materials provided without charge to each registered seminar attendee include a copy of the book Cancer Control, as well as other reprints compiled by the seminar chairman Steven Evans, Senior Research Scientist for the Therapeutics Research Institute, a non-profit research group. All RSVPs MUST be made to the OM Center!! Call 402.345.5078/email info@omahahealingarts.com to RSVP! The Encyclopedia Show: Omaha's second season continues! .... Albeit in somewhat gruesome fashion. Catch us red-handed, learning about serial killers! Knowledge is power, after all! Sweet, sweet, corrupting power. And fact-checking by Shannon Jaxies and Andrew Yolland. Originally conceived of in Chicago's greatest vaults of truth and knowledge by the brains of Robbie Q. Telfer and Shanny Jean Maney, The Encyclopedia Show: Omaha, hosted by Katie F-S and Andrew Ek, is a live variety extravaganza that commissions local and touring artists and experts from many disciplines to use their individual talents to present a different verbal encyclopedia entry each month. The Encyclopedia Show endeavors to build an age-integrated community cultivating accidental knowledge and irreverent lovingkindness. Though the show is accredited by the Institute of Human Knowledge and Hygiene, it is our ongoing mission to chafe against logic and proof, find meaning in obfuscation, and wrest truth from fact once and for all. Call OM to schedule your appointment! Toyohari Acupuncture is a refined system of Japanese five phase meridian therapy. It is largely based on the practitioner's acute palpation,ability to feel Chi and specialized non-insertive needle techniques. Its theoretical foundations derived from the medical classics--Su Wen, Ling Shu and Nan Jing. Dr. Bole's teacher, in Japan, is blind and has developed an acute sensitivity to chi through this practice. 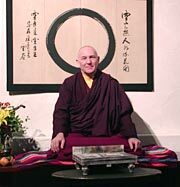 Dr. Lama David Bole (Ph.D., A.P.) 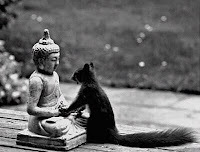 is an acupuncturist and a Tibetan Buddhist monk. He specializes in Toyohari and herbology. As a Westerner, he is able to bridge the gap between East and West. Dr. Bole received a Ph.D. in Psychology from the University of Florida and a Doctor of Acupuncture from the College of Traditional Chinese Acupuncture in Oxford, England. Dr. Bole was the founder and President of both the Florida School of Acupuncture and Oriental Medicine, and the Healing Arts Center in Gainesville, Florida. 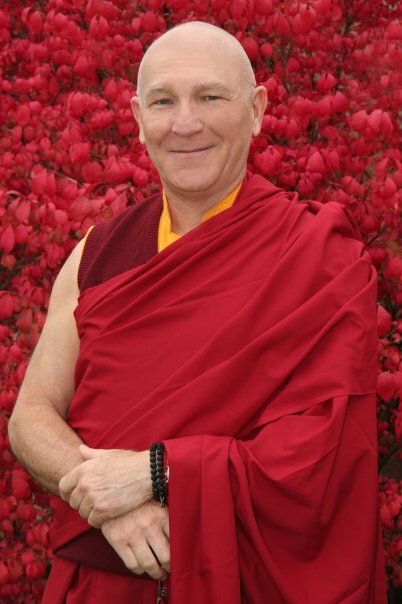 He currently teaches Tibetan Buddhist philosophy and meditations, practices acupuncture and herbal medicine, and offers courses designed to enhance awareness and health at the Healing Arts Center. An introductory class teaching "how to" on Tibetan meditation techniques: how to rest and stabilize the mind, necessary for insight meditation. This is a method for directly seeing the mind’s true nature. Buddha would often compare himself to a physician and the teachings to medicine. Acupoint Pressure Therapy (APT) is a complete system of healing and a type of massage therapy used in traditional Chinese medicine. Dr. Bole will teach a range of techniques, from those thousands of years old to those informed by current research. These 25 specific acupoints are used to restore balance in body function, dispel fatigue, relieve pain, improve circulation, and promote the body’s natural healing energy. By properly activating these points, we gain greater physical, mental, emotional, and spiritual well-being. This class is open to laypersons as well as professionals! No prerequisite! 3.5 CEUs! • MUST RSVP! Deepening the therapist's meditative practice and capacity for mindfulness is essential to using these powerful modalities with our clients. Meditation is also a very powerful self-care technique for therapists and is extremely useful in avoiding burn-out. More important than either of these is the effect of meditation on our consciousness for our personal growth and well-being. Lastly, as we become more and more aware, we are able to be of deeper service to our clients, families, communities, and the world around us. This seminar will build upon practices learned in the first in the series, but we welcome and encourage those who were unable to attend the seminar in December to join us. Richard Potter is a clinical social worker and licensed mental health practitioner. He taught social work at Dana College for 26 years. Richard is also a senior teacher for the Sufi Order International and has been a spiritual guide and teacher for more than three decades. He is the author of Authentic Spirituality: The Direct Path to Consciousness and Spiritual Development for Beginners: A Guide for Leading a Purpose-Filled Life with Jan Potter. Richard has held classes over the years at OM.